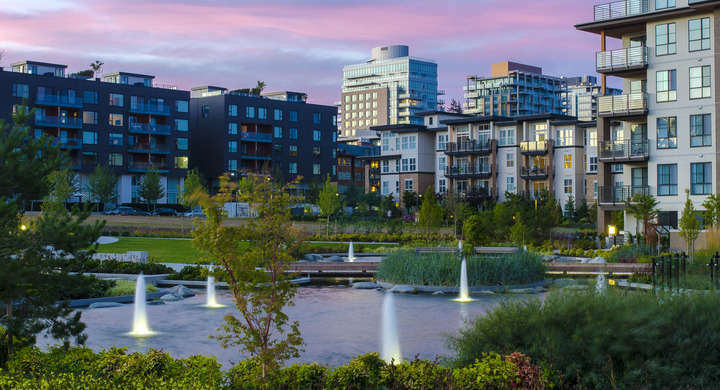 This is a promising urban village in Metro Vancouver’s South-of-Fraser, with a wide array of locally owned businesses and housing choices. 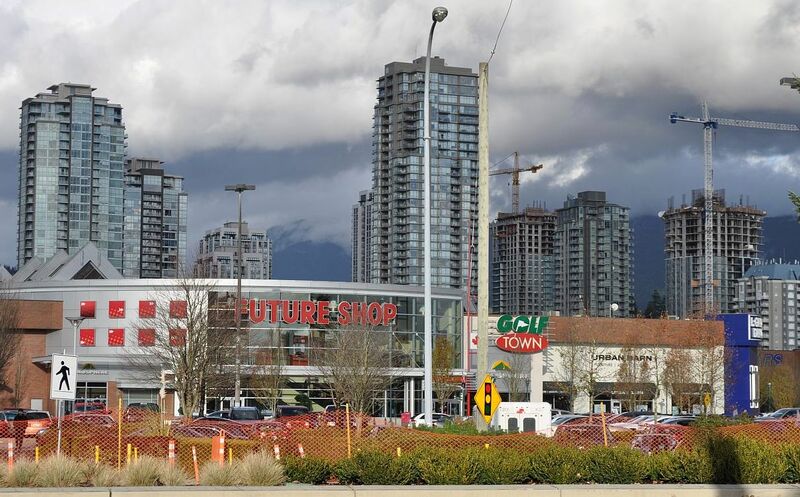 The arrival of Skytrain, connecting with Surrey and Vancouver, is anticipated sometime in the 2020s, and this will bring new population growth and business activity. 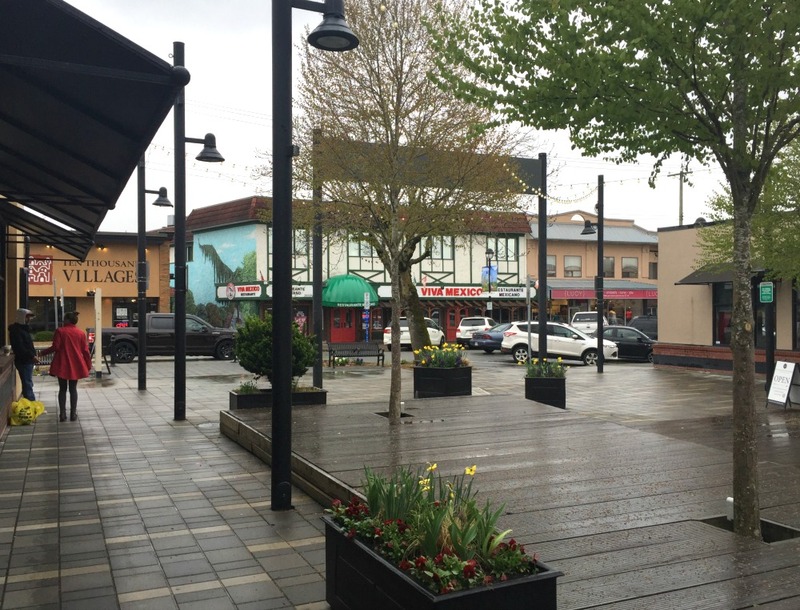 We reported on the City of Langley’s urban centre in September 2013, and scored it at a relatively high 76.0 as an urban village despite the presence of too many car-dependent strip malls. At that time, the City’s government was working to achieve a greener feel and continued housing development in the downtown area. I would say they have made some progress. City policies have also discouraged chain stores and restaurants from locating in the core. However, the City has a major crime problem (from Maclean’s magazine, 2018, based on Statistics Canada figures.) 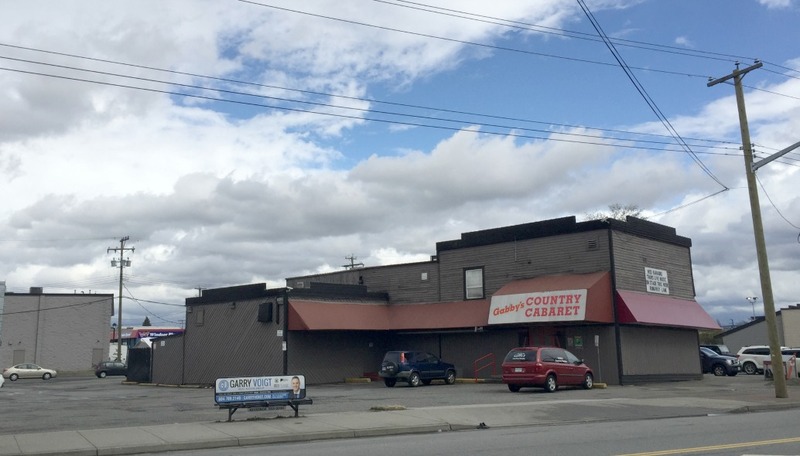 It has the sixth-highest crime severity index in Canada, with a score of 195, compared with 99 in the Township of Langley next door, or 54 in the South-of-Fraser city of Delta. 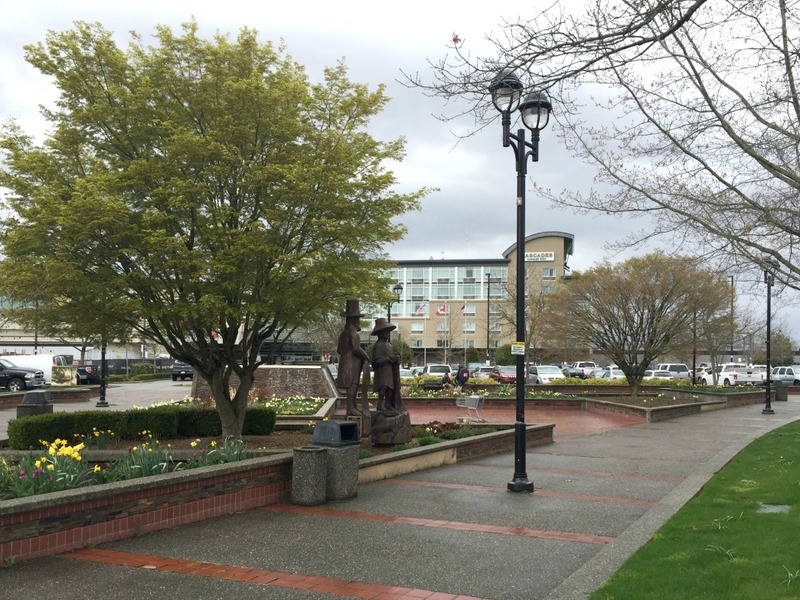 Surrey resident Robert Smarz and I recently toured downtown Langley on a day of unsettled weather. 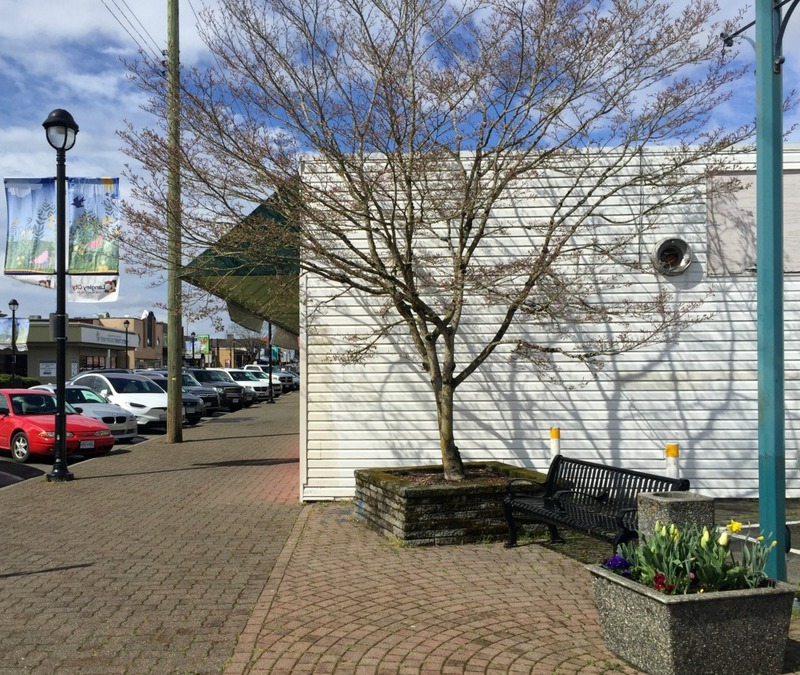 Outside of the short protected area along Fraser Highway, vehicle traffic is heavy, and the wide textured sidewalks on the commercial streets were mostly empty of pedestrians. 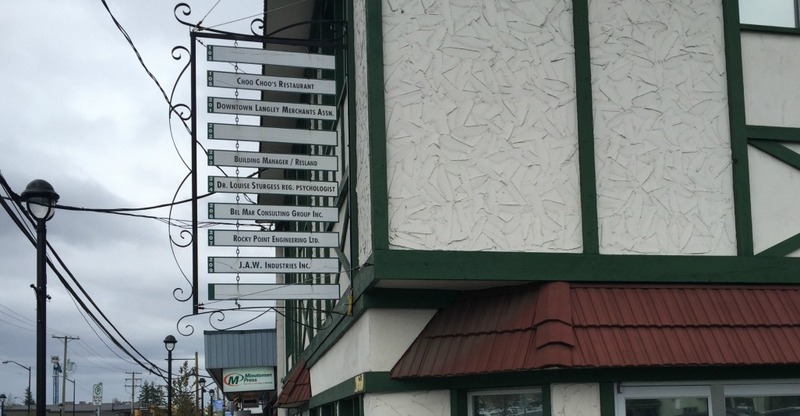 We had lunch at the Rendezvous pub, a sports bar of adequate quality. We spotted some social services offices, but did not see an obvious signs of drug use of people camped on the streets. Old-time Vancouverites often describe 1986 as the year that everything changed. 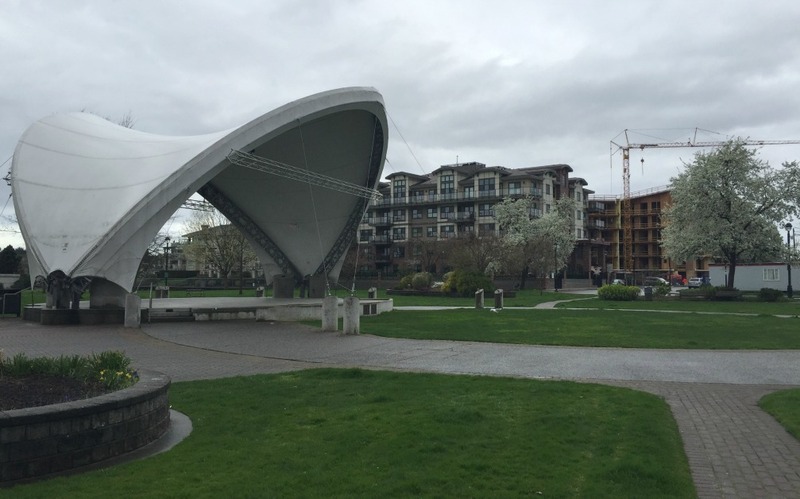 Around the False Creek perimeter, most of the classic industrial structures disappeared or were reimagined as restaurants and bars. 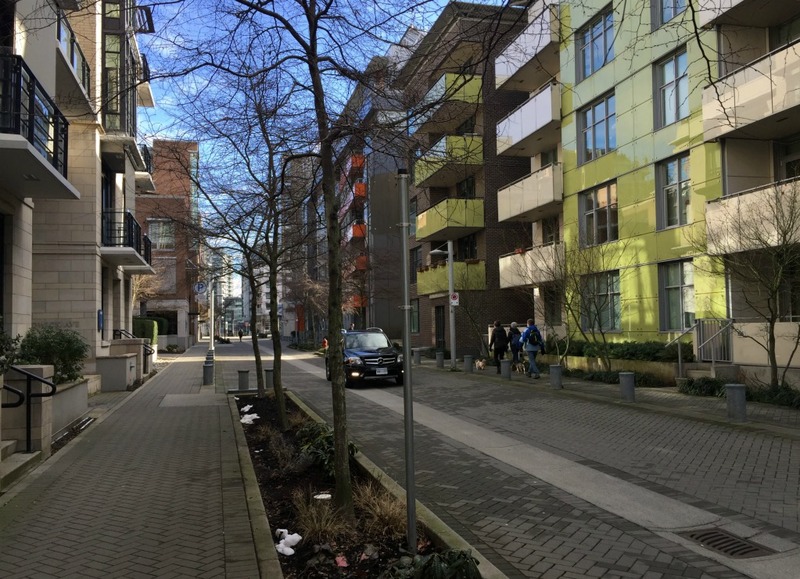 In the mid-2000s, the lands in the southeast quadrant were mostly vacant, dotted with a few abandoned mills; today, Southeast False Creek is home to something like 10,000 people, although this is just my guesstimate. Development in the City of Vancouver is so relentless in so many places that the Southeast False Creek Plan has not been updated since 2007, and the City’s website page (at this writing) is dated 2011. 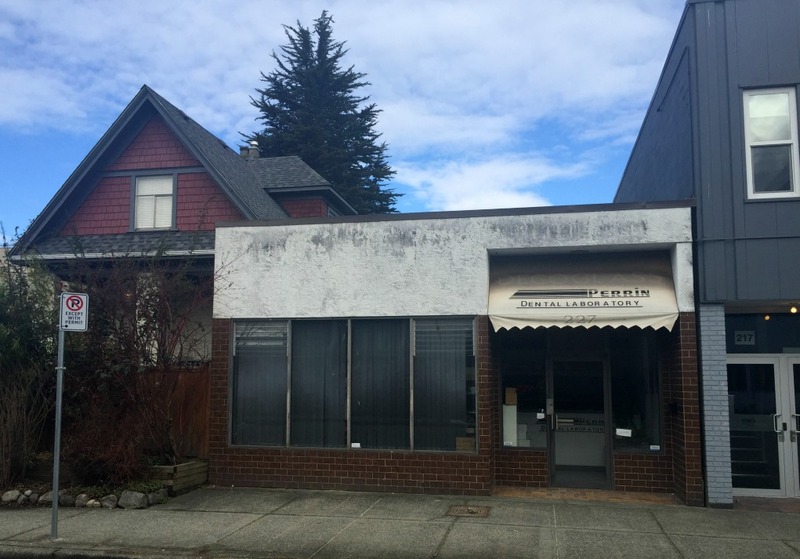 Across 2nd Avenue from Southeast False Creek, the city government has given a priority to continued industrial land use in the Mount Pleasant Industrial Area, home to a a hodgepodge of small factories, repair shops and labs. However, the City’s definition of “industry” has evolved over the past decade. 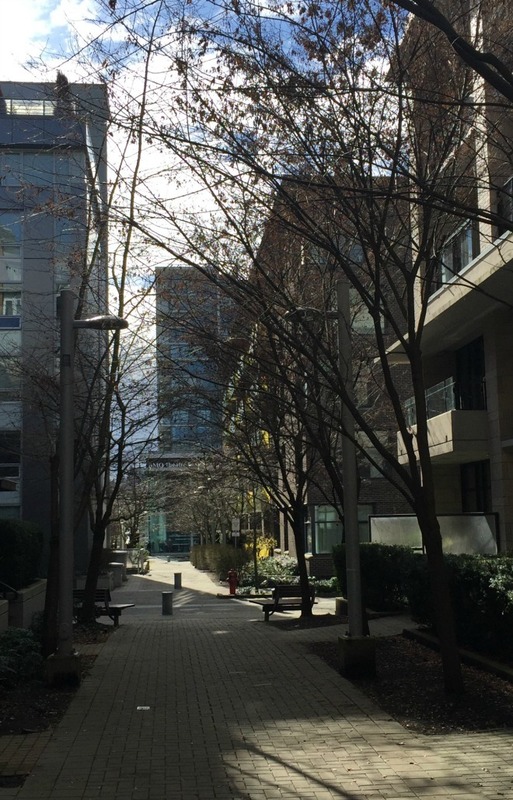 Since 2017, revised zoning regulations around Quebec Street have allowed the construction of up to six storeys to house animation studios, tech support companies and the design/construction sector. The arrival of these quasi-industrial employers and the popping up of Southeast False Creek’s instant neighbourhood go hand in hand. The old one- and two-storey industrial shops, in other words, are giving ground slowly. 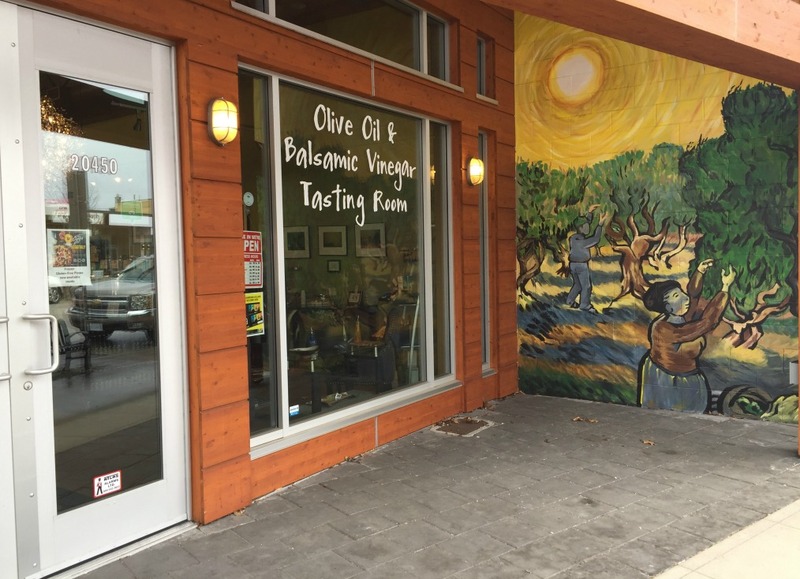 Some have been taken over by chic retail bakeries and craft beer tasting rooms, or by marketing firms. 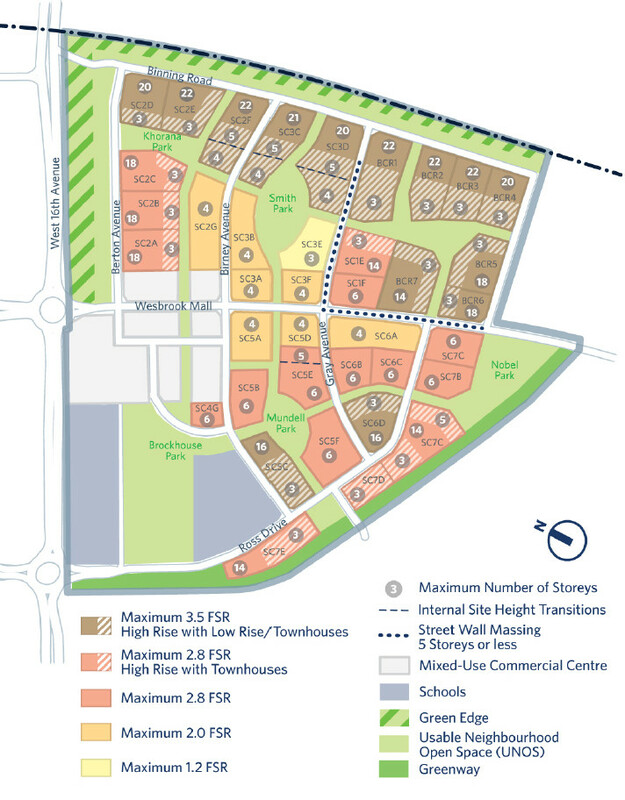 Others have been demolished in favour of newer, bigger, diversified complexes. 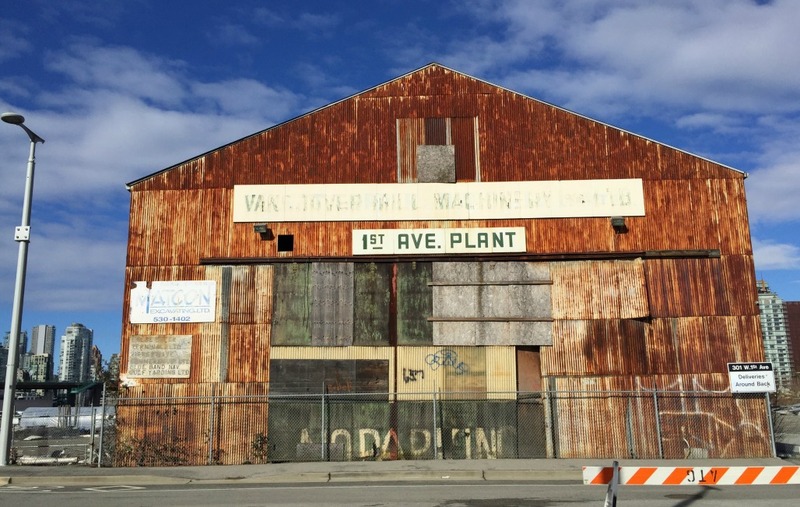 The Mount Pleasant Industrial Area is also dotted with three-storey wood frame houses, dating from before the First World War. These still function as single-family homes or apartment buildings; some are fading and some have been tastefully renovated. I support this integration of residential and industrial land use, although I’m not sure that I would volunteer to live here. Co-tourist Nathan Gowsell and I started with a bagel and coffee at Solly’s, on the edge of the newish Cambie at Broadway retail and office development. We traversed the Mount Pleasant zone on 7th and 6th avenues, stopping to chat with friends who live nearby. Crossing into Southeast False Creek, Nathan noted that a few of the streets have a European feel. I said it’s because the automobile has been demoted; the pedestrian and the cyclist have achieved a sort of equality with the driver, although some drivers are clearly unhappy with this notion. *By the way, the “1986 transformation” account is an exaggeration. 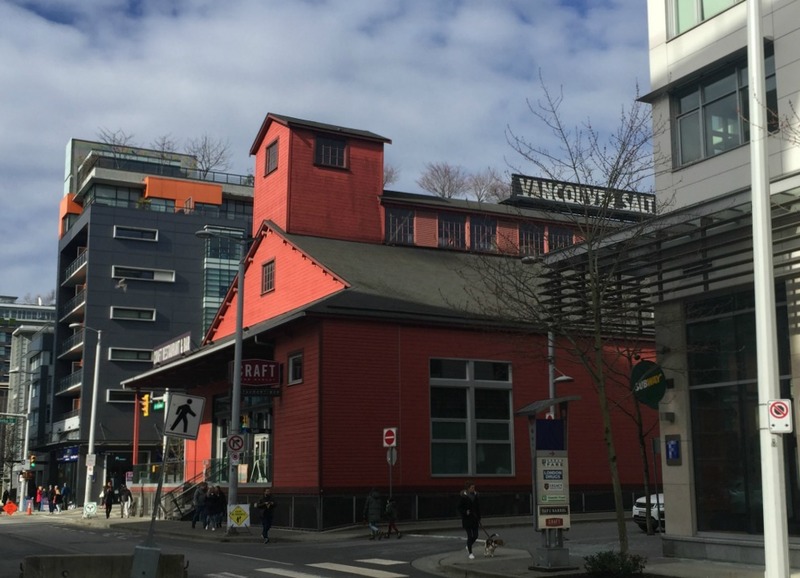 Investment in Granville Island, a former industrial site on False Creek that is now one of Canada’s leading tourist attractions, began in 1973. In fact, the city’s gentrification has been ongoing throughout its history. 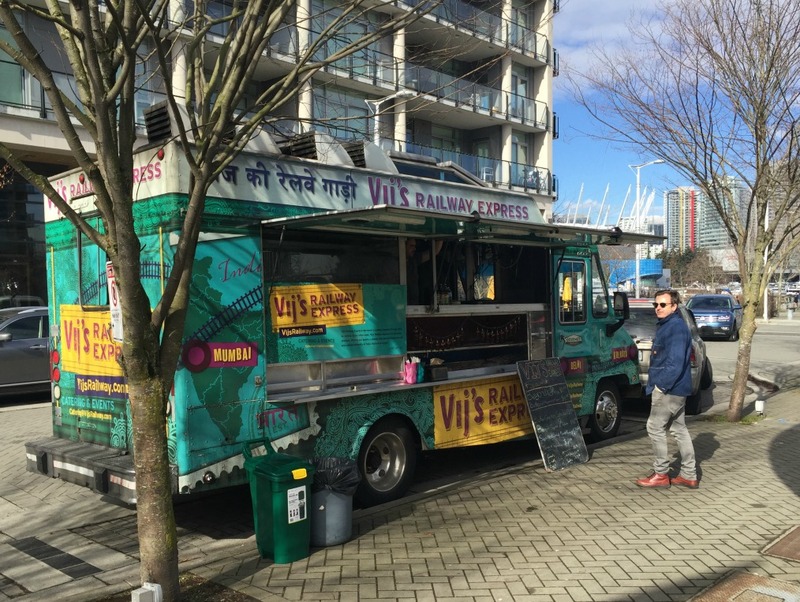 A food truck on the main square in Southeast False Creek. The square features an upscale supermarket and a drug store, but is dominated by oversize pubs. My sister Morna has shared a link to a one-hour video record of interurban trams in Vancouver and Burnaby, dating from 1950 and 1951. A brief history on the TransLink website states that these self-propelled street railway cars were “like streetcars, only larger and more powerful.” The video speaks to a time when the pace of life was slower. 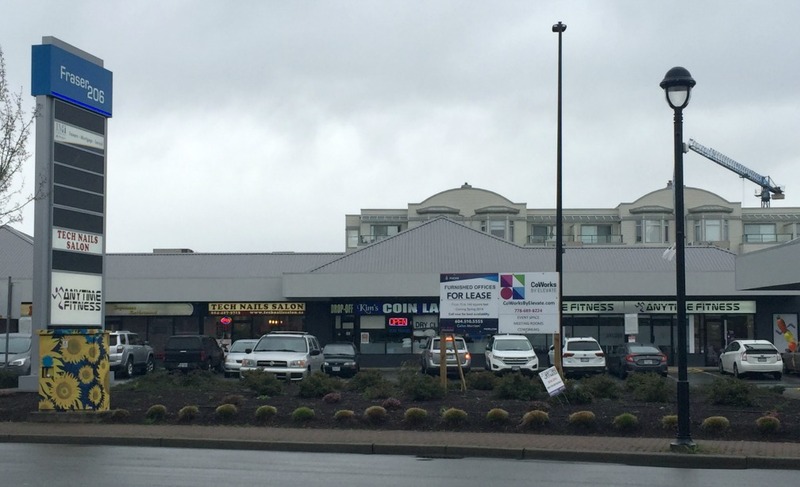 The area that is today’s Metrotown (at about 20 minutes) appears semi-rural. 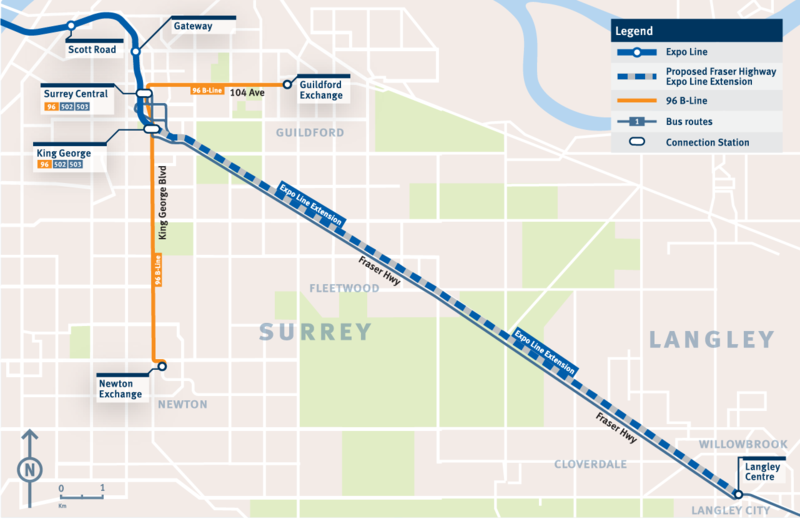 Route for the proposed SkyTrain extension from Surrey Central to downtown Langley, posted by TransLink in early 2019. The former light rail route from Guildford to Newton has been demoted to express bus status. From 2011 until last year, city government in Surrey (population 500,000) worked diligently on a plan for light rail transit. This would be the first at-grade LRT system in British Columbia; similar systems are in service in Edmonton, Calgary and Ottawa. By 2018, $1.65 billion in funding from regional, provincial and federal sources was in place, with construction teams to be selected in 2019. 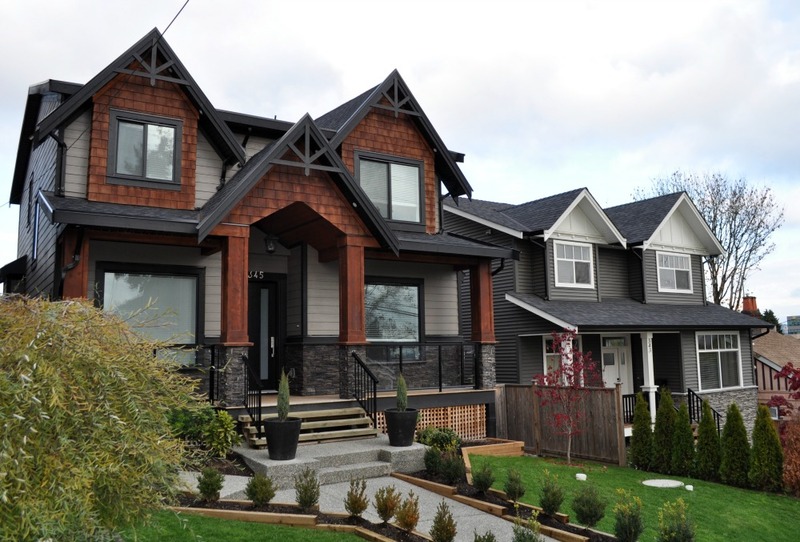 In just seven years, the University of British Columbia has created a highly densified residential neighbourhood on its southern perimeter.